Composting your own garden and kitchen waste is one of the most satisfying things you can do in your garden because you get something for nothing. Many people are slightly scared of compost heaps fearing they will smell or attract rats or have vipers nesting in them. But as long as you follow a few simple rules and are prepared to turn the contents over periodically the result is your own free supply of compost for use as a soil improver, as a mulch or, after sifting, using to make your own seed and potting compost. 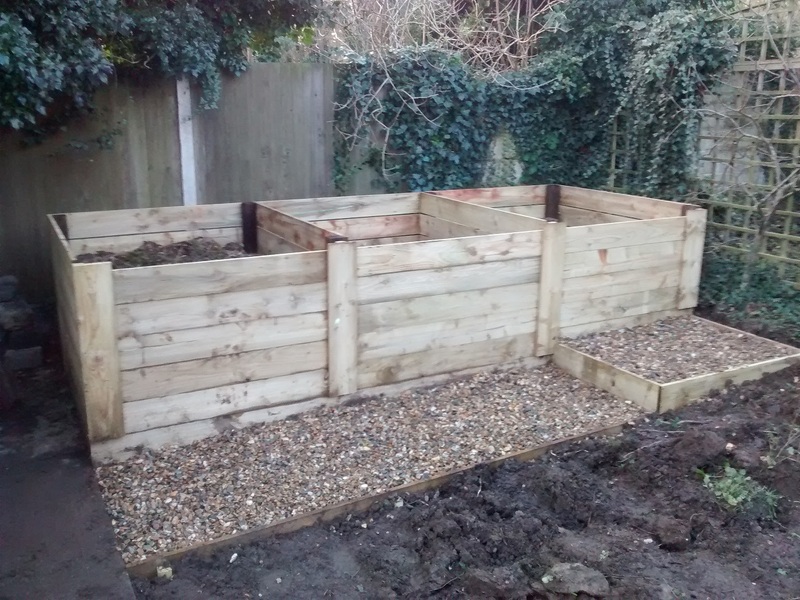 We can make any number and size of bins to suit your garden but the best set-up is to have at least two, ideally three, so one can be breaking down for use in the autumn while you fill the others during the growing season. The fronts are made to be easily removeable to allow easy access for emptying and turning over. Leaf mould is even simpler to produce yourself but does require a little more patience as it will take a couple of years to get your first spadeful. So if you have your own autumn leaf-fall or someone else's blow into your garden, be annoyed no more, just scoop them up and place them in a wire bin and forget about them for two years. 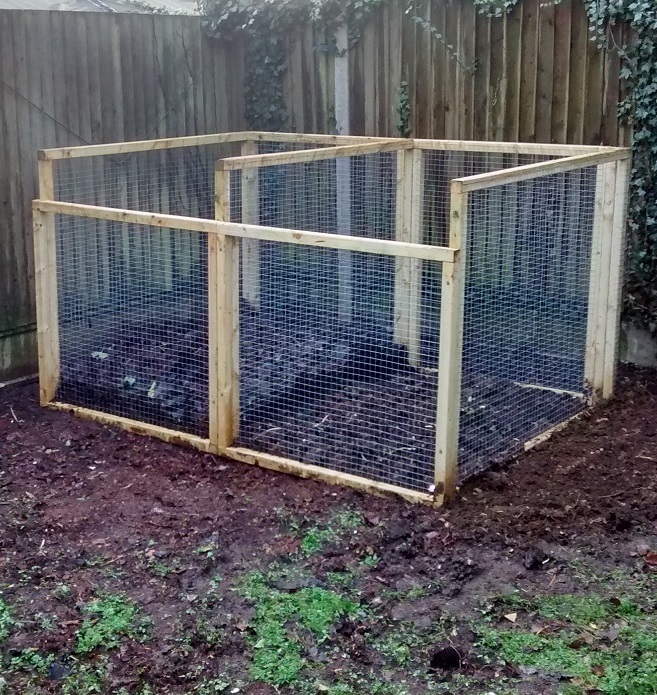 Our simple wire cages can be made singly or in pairs and to any size to suit your needs.